Tucked away in the eastern end of the Himalayas lies Bhutan—a tiny, landlocked country bordering China and India. Impossibly remote and nearly inaccessible, Bhutan is rich in natural beauty, exotic plants and animals, and crazy wisdom. 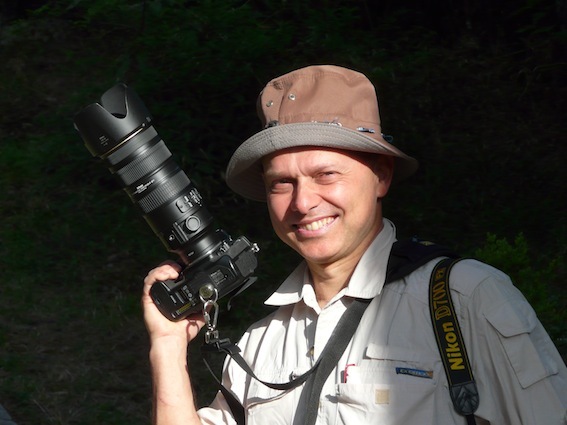 It is a place where people are genuinely content with very few material possessions and the government embraces “Gross National Happiness” instead of Gross National Product. In this funny, magical memoir, we accompany Linda Leaming on her travels through South Asia, sharing her experiences as she learns the language, customs, and religion; her surprising romance with a Buddhist artist; and her realizations about the unexpected path to happiness and accidental enlightenment. 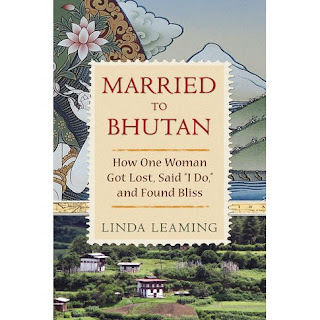 Linda Leaming is a writer whose work has appeared in Ladies' Home Journal, Mandala, The Guardian , A Woman's Asia (Travelers' Tales), and many other publications. Eric Weiner included her in his bestseller, The Geography of Bliss. She regularly speaks about Bhutan at colleges, churches, seminars and book groups. She is married to the renowned Bhutanese thanka painter, Phurba Namgay. Linda first traveled to Bhutan in 1994, and moved there three years later. This tiny Buddhist country hidden away in the Himalayas is a very happy place for many. Its king believes in Gross National Happiness instead of Gross National Product. 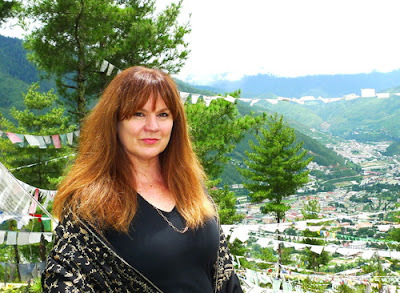 Leaming writes about her life in Bhutan and how she learned to live more simply, how she laughs at herself instead of getting mad at others, and how she slows down to look for magic-- because it's everywhere. In Bhutan, she's known for using a salad spinner instead of a washing machine, and her village man makeovers. This is a solid personal story that will help you understand much about the country of Bhutan. Her personal love story with the Bhutanese man who became her husband is captivating. Her myriad anecdotes are most informing and entertaining, she really makes it a pleasure to read through them. She is on less firm footing when (and this happens a lot) she compares the way of life in Bhutan with that of Western countries, and especially the US. One can hardly think of two countries that are less comparable. Throughout the book one gets that feeling, that is common when reading so many books about developing countries, that life before modernization was tough but happy. That before Western influence began to make its way through the valleys the local ways and culture were not "contaminated" and pure. I am not sure life was happy in Bhutan before the arrival of electricity, cars, antibiotics, education for everyone and not just for the clergy, etc. I don't think it was. As far as I could tell when visiting the country, no one wants to go back to the "good old ways". They are happier now as they embrace development, albeit at their own pace. Bhutan is a quintessentially Buddhist country, and Buddha was, in his time, "imported" from neighbouring India and Nepal. You can read more about Linda Leaming and her work on her own website.